Note: This is a minimum list of professional medical gear required by the FAA, see computer systems page for required computer equipment. For the conduct of the medical examination, Examiner's shall have adequate facilities for performing the required examinations and possess or agree to obtain the following equipment prior to conducting any FAA examinations. History or current findings may indicate a need for special evaluations. Standard Snellen Test. Types for visual acuity (both near and distant) and appropriate eye lane. FAA Form 8500-1, Near Vision Acuity Test Card may be used for near and intermediate vision testing. Metal, opaque plastic or cardboard occluder. Eye Muscle Test-Light. May be a spot of light 0.5cm in diameter, a regular muscle-test light, or an ophthalmoscope. Maddox Rod. May be hand type. Horizontal Prism Bar. Risley, Hughes, or hand prism are acceptable alternatives. Color Vision Test Apparatus. Pseudoisochromatic plates, (American Optical Company (AOC), l965 edition; AOC-HRR, 2nd edition); Dvorine, 2nd edition; Ishihara, Concise 14 -, 24 -; or 38-plate editions; or Richmond (l983 edition, 15-plates). Acceptable substitutes are: Farnsworth Lantern; Keystone Orthoscope; Keystone Telebinocular; LKC Technologies, Inc., Apt-5 Color Vision Tester; OPTEC 2000 Vision Tester (Models 2000PAME, and 2000OPI); Titmus Vision Tester; Titmus II Vision Tester (Model Nos. TII and TIIS); and Titmus 2 Vision Tester (Models T2A and T2S). A Wall Target consisting of a 50-inch square surface with a matte finish (may be black felt or dull finish paper) and a 2-mm white test object (may be a pin) in a suitable handle of the same color as the background. Other vision test equipment that is acceptable as a replacement for 1 through 4 above includes the American Optical Company Site-Screener, Bausch and Lomb Orthorator, Keystone Orthoscope or Telebinocular, Titmus Vision Tester, or Stereo Optical Co. OPTEC 2000 VISION TESTER. Standard physician diagnostic instruments and aids including those necessary to perform urinalysis. 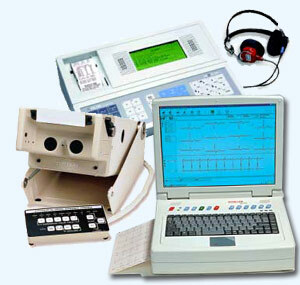 Electrocardiographic equipment. Senior Examiners must have access to digital electrocardiographic equipment with electronic transmission capability. Audiometric equipment. All Examiners must have access to audiometric equipment or a capability of referring applicants to other medical facilities for audiometric testing.